Are you looking for something a little different to stock in your gift shop? If you are, these glass floats are the ideal choice of item for you. Part of our popular nautical range, this set of 4 glass floats will add a unique touch to your customers’ homes. 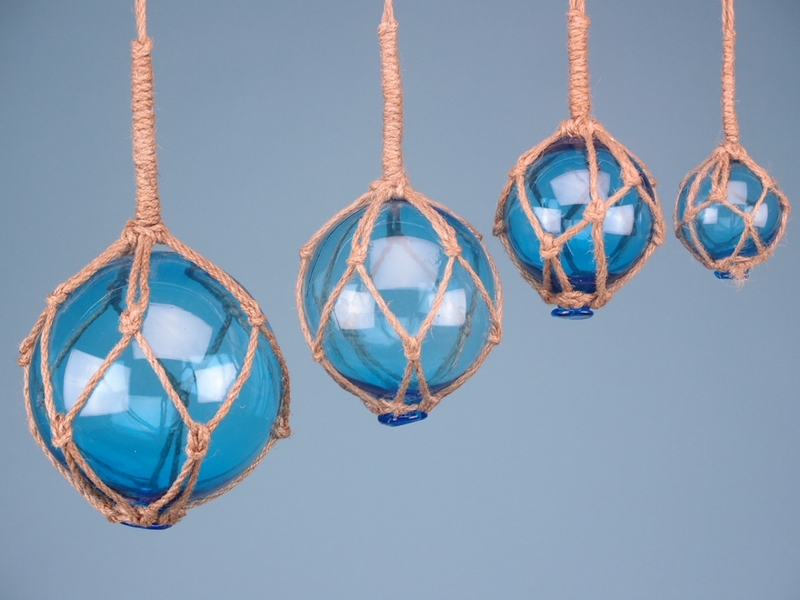 Available in the colour turquoise, each individual glass float hangs from rope that features knots resembling those utilised by sailors. 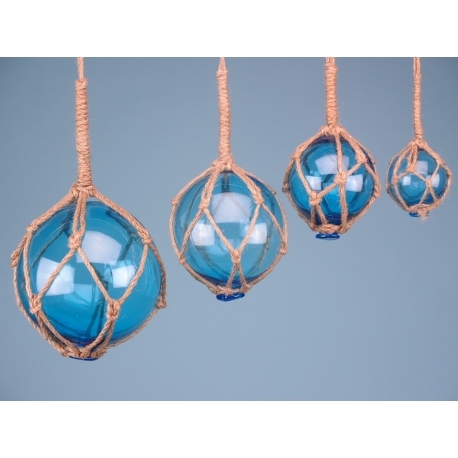 This set of 4 glass floats measure 5cm – 12.5cm. As a unique, beautifully crafted item, this set of four glass floats will not be hanging around in your store for long.